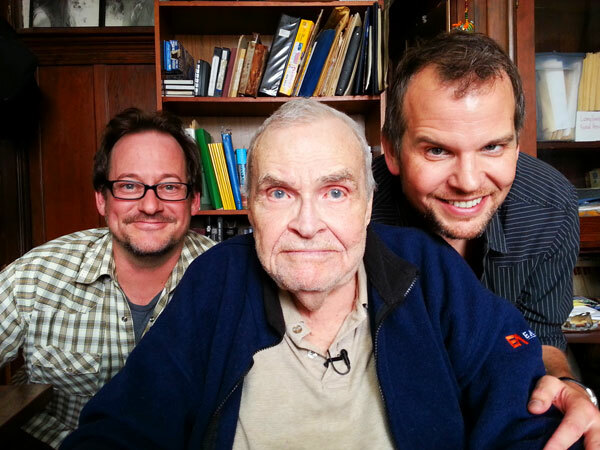 Yesterday we were honored to interview John Magnuson, director of ‘Lenny Bruce’, the performance film with the comedy icon from 1967, and producer of Bruce’s ‘Thank You Mask Man’, a subversive, childhood favorite of mine. Sam Shaw & I interviewed him as part of our project on our documentary “The Committee: A Secret History of American Comedy”. Lekker Media is the production company of record on the project, produced by The San Francisco Improv Festival. Mr. Magnuson told us tales of the early days of The Committee, his work with their talented actors, his time collaborating with Lenny Bruce in San Francisco, and his fan/friend relationship with comedy legend Bill Hicks. We couldn’t have been happier to be invited into his home and to have had the chance to dig deeper into the project which spans the roughly 10 years The Committee changed the face of popular comedy and catalyzed the San Francisco scene from free speech through free love with their sharp, cutting, and intelligent brand of political humor. Magnuson’s main interaction with the talents of The Committee came through his hiring them for commercial and industrial film work (a tradition with improvisational actors that Lekker Media carries on today). His first foray into the world of commercial work with improvisors was with Mike Nichols and Elaine May in the late 1950’s. What a ride – thanks, John!